Google shakes up executive team - what does this mean for Android ? As you may have hear or read, Eric Schmidt will be stepping down as CEO of Google after a decade, to let Larry Page, co-founder and CEO before him, take the reigns again. There has been much discussions as to the reasons for this move and the executive team has been quick to provide the media with plenty of information on their decision. Read past the break for a brief summary on the move and what it could mean for the future of Android. One thing you may not know or have noticed is that Google has been facing some problems in the near past that arose from its explosive growth and an increase in bureaucracy brought upon by this very growth. You can read more over at Techcrunch, but in short, their decision taking process has been slow and often inconsistent and things needed to change. The official statement here offers some insight on what's going on. First, while the roles may have changed, the team will remain the same since the "triumvirate approach has real benefits in terms of shared wisdom". Eric Schmidt promised that switch at the top would then "simplify our management structure and speed up decision making" by clarifying their "individual roles so there’s clear responsibility and accountability at the top of the company". I hope this goes as well as they predict and so far the fact that their stock is still trading flat after the 1 PM release, unlike Apple stock that took a dive after Jobs' medical leave, is a good sign. Onto Android now. 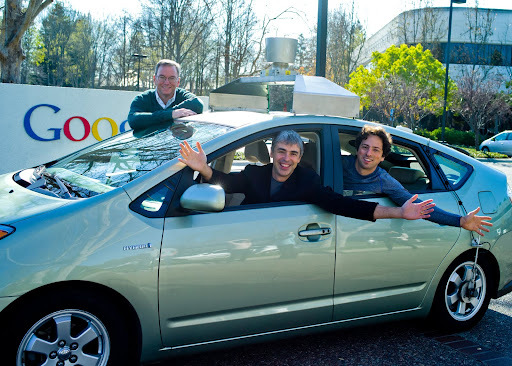 Larry Page and Sergey Brin founded Google and they feel the company. As good a CEO as Schmidt was, he doesn't have as much emotional investment in the company, and much less of a legacy to create. Also, Page's official title is "President, Products" while Brin is in charge of Technology. It's not 100% clear from that what the division is internally in terms of Android, since it's both a product and a lot of technology is invested or derived from it, but either way, this change should be good for the future of Android. Since Page has this emotional investment and has spend the last 10 years as involved in Google as any of them I think things should speed up a bit and Schmidt now has more time to analyze strategic partnerships, customers and new deals while Page will now manage the executives "below" him. The product focus he has had in the past should get some improvements in the way executive decisions trickle down, but also should speed up the creative process from the bottom up, reducing implementation time. All of this is still theoretical, but this may just be the best decision Google has made in a long time. If everything goes as hoped, we might be looking at faster Android development and integration of features consumers ask for more quickly. The ball is in Google's court and we can only hope they make this new team work.